NYC, 05/02/2019, 2:00PM. 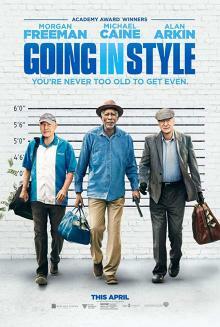 Going in Style (2017): Lifelong Friends Plan To Rob A Bank After Their Pensions Cancelled. Starring Michael Caine, Alan Arkin, Ann-Margret. This is a remake of the 1979 film Going in Style. Going in Style grossed $84 million worldwide against its $25 million budget.